Hey! Long time no see. Who are you, you may ask? Well, yeah, it really has been a long time, unfortunately. So yeah, I’m just a dude, struggling to find enough the most precious resource in the world – time. So yeah, what has been going on? What am I up to? I always thought that I’ll be able to find time for anime no matter what. It’s sad that it turned out not to be true for a number of reasons. I guess now a bit of personal circumstances are incoming, though I generally try not to talk about that too much. Anyway, it’s already written in my About page that I associate my future with Life Sciences. I hadn’t actually given that much thought about what exactly that meant in the future beyond two or three years, but life never stops to let you carefully prepare and plan for everything, doesn’t it? So it happened that I was offered by my Uni to take care of some laboratory works. I feel very fortunate and grateful for that as such a position ensures steady income for quite some time provided everything goes well. The only problem was that a person who did the job before me retired sooner than expected due to some personal reasons. To make it short, those reasons prevented them from being able to introduce and teach me all the odds and ends. So basically I was given some manuals (that needed updating), some closets of various chemicals, things and stuff that I’ve no idea how to use (for example a carefully placed branch of a tree. Seriously?..). And an offer – either make it work or the offer goes to someone else. As you can guess, I agreed. And, well, it isn’t bad, it’s just weird and needs lots of work. As with everything – a thing that is written on paper with a stamp “It works every time!” usually doesn’t, and then it’s my job to make everything work so students can have their laboratory exercises. One way or another, it’s usually possible to make everything work, but that comes with a price of time. I know that the first year is the hardest and next spring I’ll have a far less stressful time, but now it isn’t that odd to have a 10 or 12 hour workday, especially since I have some other stuff to take care of. It may sound like I was forced to do this job and I’m against it. Well, that’s not true, really. What I’m against is rashness and unplanned decisions. If I could’ve gotten some tutoring, something like a transitional year, I would’ve accepted the offer without any thoughts. Now however it just requires more effort. Actually my lack of posts doesn’t mean that I have been completely dissociated from anime. From the beginning of the year I decided to spend more time returning to the basics, which is always a good idea. And not just basics, but the fundamentals themselves. And for a Western anime fan there’s probably no better option than Cowboy Bebop. Initially I was quite afraid because several years and several hundreds of anime entries completed may have entirely changed my outlook on the first anime I’ve ever watched, and not for the better. First few episodes rolled rather slow, but the pace picked up and I ended up enamored just as I was the first time. It was just as good, if not better. Knowing (roughly) what was going to happen let me pay more attention to the soundtrack, and Yoko Kanno is nothing but amazing. It’s funny that the first time I was more preoccupied with trying to get accustomed of the sharpness of the noses of the characters. It’s good that my first anime wasn’t Shiki. Anyway. I was a bit surprised how cheesy and simplistic some of the scenes were but in the end everything just worked and I had a great time. After that I tried rewatching Black Lagoon, another long-time favorite of mine, and even if I stopped by the twin vampire arc (yeah yeah, again something unfinished), the over the top action was just as great as I had wished for. 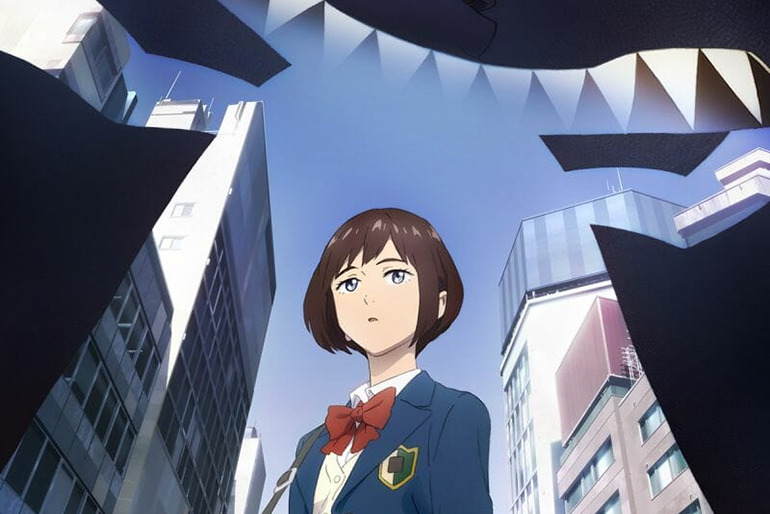 About other stuff, I hasn’t been as fortunate – while Blame movie was quite good (mainly from the technical point of view), Uchiage Hanabi felt extremely empty – a husk of a film that had nothing apart from inevitable Shaft-isms. Speaking about writing, I hadn’t been completely idle in that department, either. Though the majority of it will likely never see the light of day. One such thing is some scraps about a video game Life is Strange that affected me quite a lot. Those scraps with a bit of work could be made into a post but I’m not sure if this blog is the right place for something completely unrelated to anime. Another thing was quite unexpected for myself – one (quite eventful) day I came home and basically sat down and wrote for like 6 hours straight. Not sure why. What came out was ~20 pages of pseudo-diary thing with some parts that were not true. It’s not in English in the first place, and probably too personal, but I can just say that writing is a powerful tool to better understand, well, everything. I definitely can’t say I felt an enlightenment or anything like that but putting words to paper let me better understand my own emotions, relationships with particular people, outlook on some issues, what I think my flaws are and what I should work on (character-wise) to improve. Well, it sounds rather esoteric, but believe me – sitting down and writing about anything – be it a trip to a supermarket or something less ordinary – can work wonders as a self-improvement exercise. I shouldn’t forget that myself. So yeah, with everything going on, I’m back where I started this post – time issues. Needless to say, time that gets stolen from me could easily be used for anime. I definitely feel uncomfortable for having stopped posting mid-season. All those unexpected episodes of Boogiepop, lots of Dororo to catch on and other stuff do weight on my mind. I hope to catch up some time, but I guess at this point I’m grateful to have time to write this post and to think about possibly starting one or two shows of the new season. What’s on my mind? Well, the season itself seems to be more of a low-key one. I’m not interested in many shows to begin with, and due to, again, time issues my interests lie mainly in Attack on Titan (obviously) and that that Shinichiro Watanabe show. Speaking about others, the hype around One Punch Man seems to have all but dissipated once it was announced that J.C.Staff would take the reins from Madhouse. I’ve nothing against that studio, I just don’t see anyone else but Shingo Natsume being able to top the Book of Friends that Natsume has. I watched One Punch Man (on ever lagging Daisuki, by the way) mainly for the quality of the animation, as the story, while initially looking pretty amusing, soon got incredibly repetitive. There’s just so much you can do with one anti-joke. And obviously not the best part is giving a man who can win every fight with one punch an opponent who needs several punches to be defeated – that’s going back to the same shounen gimmick that the show initially attempted to ridicule. And I don’t really see anything new happening in the second season. Unless someone manages to convince me that the opposite is truth. Going on, ufotable is trying something again, and once more I can state that I’m not the biggest fan of their excessive use of CG. It’s just that their CG (as good as it is, and sometimes it’s really good) doesn’t work well with 2D – a very typical problem for any studio. I’ve had enough of Tales of Zestiria kind of stuff, and if there isn’t a compelling story attached to ufotable visuals, unfortunately it’s hardly going to be to my liking. 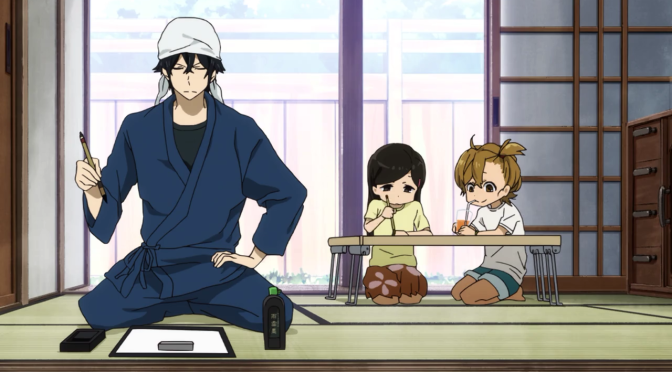 And a more or less typical shounen story isn’t something I care about much. 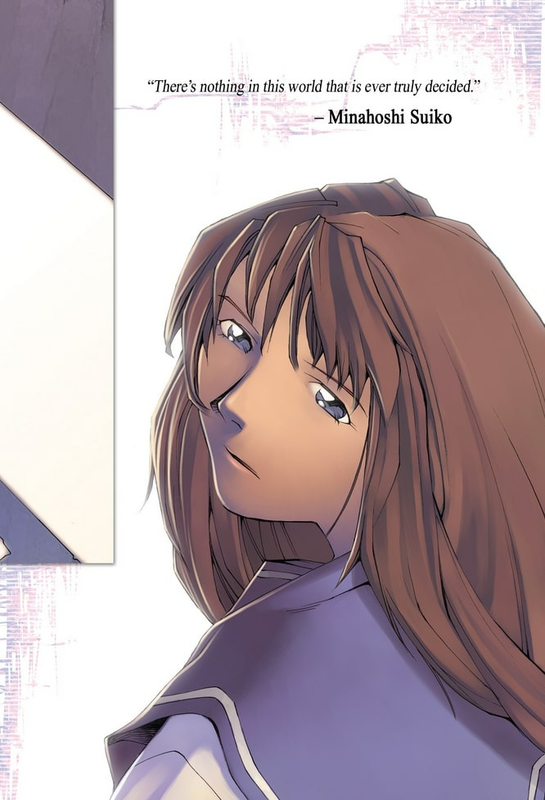 I do have a very strong emotional attachment to ufotable due to them making my absolute favorite anime – Kara no Kyoukai movies – but I’ve seen enough to finally get that past doesn’t really matter when new shows come out. I’ve read Fruits Basket manga some time ago and I’m quite content about it so I don’t really think an anime would (and could) improve much the feeling I’ve got from the manga. 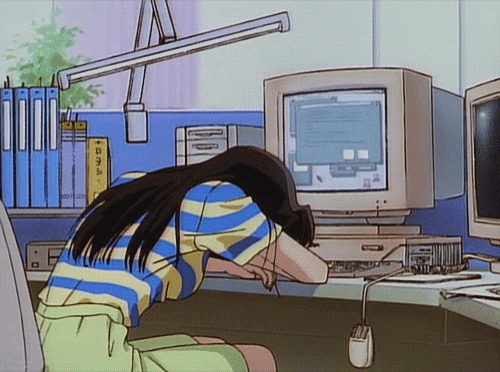 And, knowing my completionist-like tendencies, I probably should watch the old Fruits Basket anime in the first place. I’m also not that interested in that Kunihiko Ikuhara show. I definitely respect the dude but it’s probably not the right time for me to try to decipher his complicated messages. So yeah, it’s quite weird to be back, not really knowing who of my old acquaintances are still active and how does the ani-blog-o-sphere look like now. But let’s just be hopeful! How are you doing everyone? Did I miss anything important? Are there any other new shows I failed to take notice of? Show, don’t tell. That’s probably the most important rule of any film or TV show. Instances like Bakemonogatari are very scarce, and even there the visuals are not the least important element of the story. 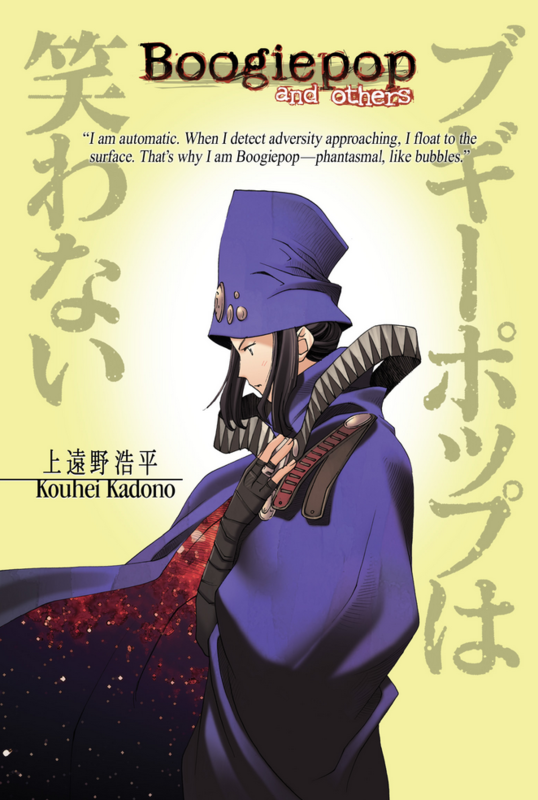 It seems like the easier route is to stick to the rule and avoid exposition dumps as much as possible, and then it should be ok. It’s true that the new adaptation of Boogiepop light novel series doesn’t tell. Only the problem is that neither does it show. 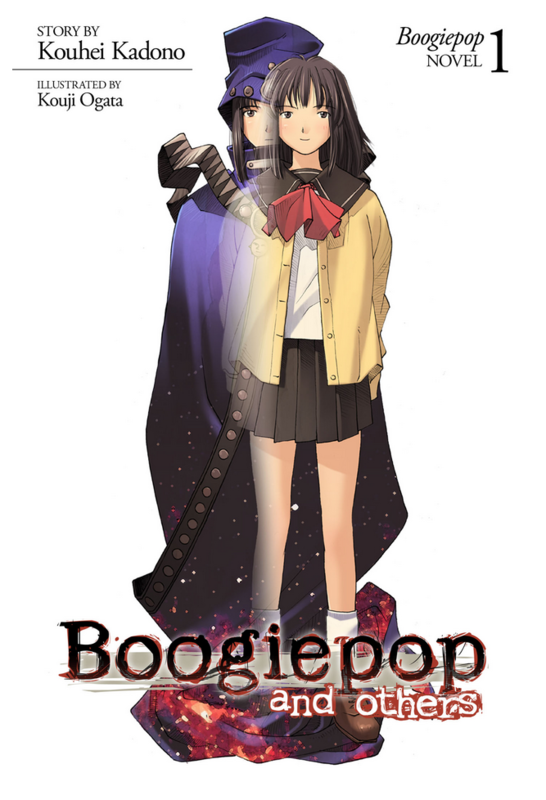 It’s a very unforgiving job to try to adapt Boogiepop. If you watched any of Junji Ito’s anime adaptations, you should know how that sort of thing may play out. It’s just that another medium isn’t always capable of retelling the same story without some important pieces being lost. 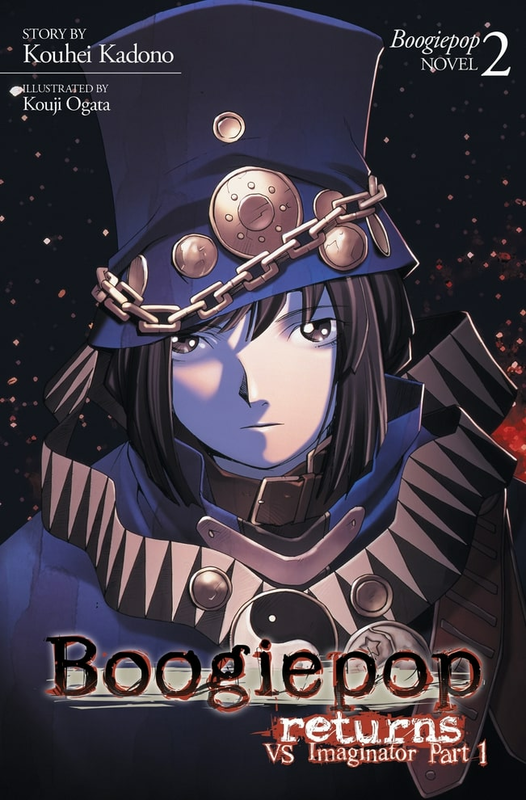 A non-conventional retelling might do the source justice, but so far Boogiepop wa Warawanai has received nothing but conventional adaptation, and it doesn’t really work. Why?